Battery-like devices mimic how a charge builds up in the animal’s cells. These artificial electric eel organs are made up of water-based polymer mixes called hydrogels. Such soft, flexible battery-like devices, described online October 13 in Nature, could power soft robots or next-gen wearable and implantable tech. This new type of power source is modeled after rows of cells called electrocytes in the electric organ that runs along an electric eel’s body. When an eel zaps its prey, positively charged potassium and sodium atoms inside and between these cells flow toward the eel’s head, making each electrocyte’s front end positive and tail end negative. This setup creates a voltage of about 150 millivolts across each cell. The voltages of these electrocytes add up, like a lineup of AAA batteries powering a flashlight, explains Michael Mayer, a biophysicist at the University of Fribourg in Switzerland. Collectively, an eel’s electrocytes can generate hundreds of volts. GEL CELLS Each artificial eel cell is a chain of four hydrogels, from one red gel to another, sandwiched between panes of polyester and connected to other cells. Mayer and his colleagues concocted four hydrogels that, when queued up in a particular order, mimic the function of an electrocyte. The researchers devised a couple of strategies for stringing a four-gel artificial cell to other cells. One technique involved printing hydrogel grids onto two polyester sheets, and then laying one sheet on top of the other so the hydrogels crisscrossed like zipper teeth. Alternatively, printing all the hydrogels on a single sheet and then folding the sheet stacked the gels like pancakes. 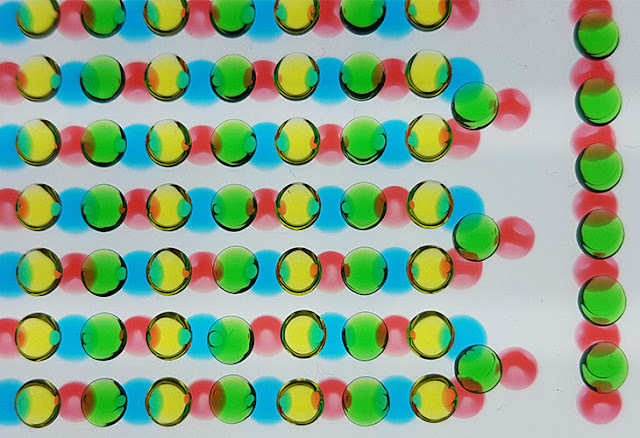 The researchers designed the four hydrogels’ chemical makeup so that as soon as all the gels of a single cell touched, their positively charged sodium atoms surged toward one end of the lineup and negative chloride atoms flooded toward the other. Much like a real electrocyte, each four-gel artificial cell generated 130 to 185 millivolts of electricity, and 612 artificial eel cells in tandem produced 110 volts about the energy of a household outlet. 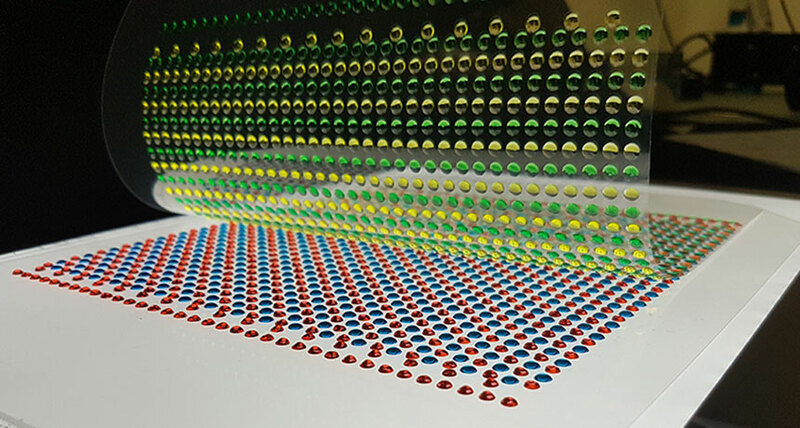 TAKING CHARGE A polyester sheet with hydrogels printed in a precise configuration folds up so that the hydrogels stack similar to the cells in an electric eel’s electricity-generating organ. Unfortunately, the artificial eel organs don’t expend their energy as efficiently as their biological counterparts, Mayer says. So the hydrogel systems built for this study could only energize very low-power instruments. “The device we’re closest to powering is probably a pacemaker,” Mayer says. But he thinks that tweaking the hydrogel setup to more closely imitate a real eel electric organ like by printing thinner gels could give these energy sources more oomph. Mayer also wants to devise a new way to recharge the artificial organs. Researchers currently have to hook the devices up to an external power source that drives the hydrogels’ charged particles back to their starting positions, kind of like plugging a battery into a charging dock. “The holy grail, at least to me, would be to design this thing so it can recharge itself inside the body,” Mayer says. He imagines artificial eel organs tapping into the energy stored by natural charge separations throughout the body, like between the stomach which is relatively positively charged and surrounding tissue. 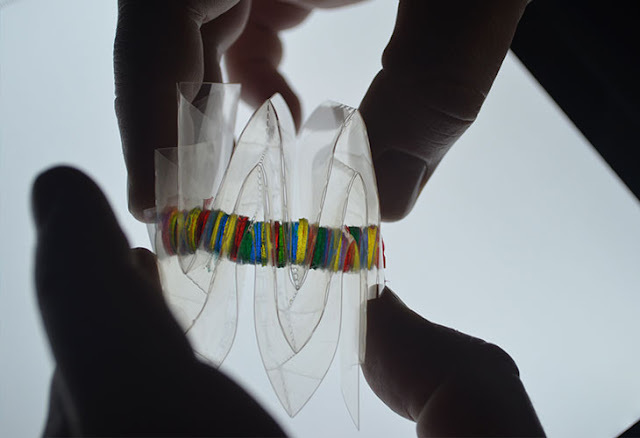 Such flexible, biofriendly and transparent energy sources could someday energize implanted health sensors, insulin pumps or high-tech contact lenses that project virtual displays onto the wearer’s line of sight. T. Schroeder et al. An electric-eel-inspired soft power source from stacked hydrogels. Nature. Published online December 13, 2017. doi:10.1038/nature24670.